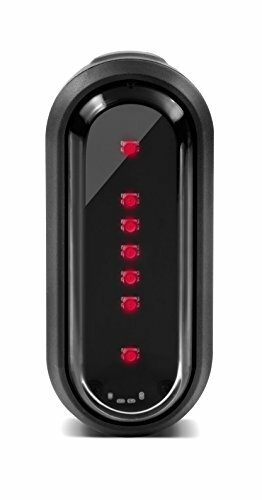 New Varia smart bike lights from Garmin help to create a safer riding environment by adjusting to changing light conditions as well as bike speed, thanks to seamless integration with select Edge computers. As speed increases, the headlight automatically projects light further ahead to where it’s needed most. As ambient light fades or gets brighter, both the headlight and tail light adjust automatically when paired with a light sensing Edge 1000 bike computer. Using two taillights will give the rider turn signal capability. Adjustments including on/off can be made manually with the Varia remote control.